Not even a bucket full of kryptonite will be able to stop you in this authentic Superman costume. Now, you can become the character who defines the superhero genre. 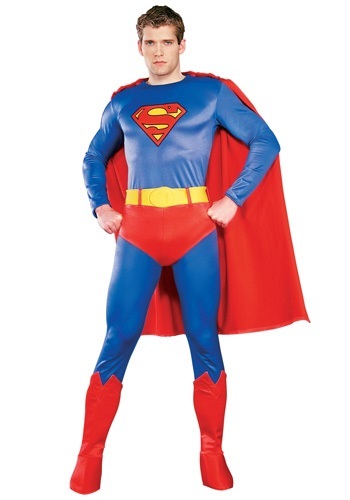 This high quality, spandex uniform has the signature Superman “S” sprawled on the center of the outfit. The red wavy cape will flutter in the wind as you soar above Metropolis! Be the icon and the defender of truth, freedom and the American way with this Superman costume.